Does my Dachshund Need Clothes? When it’s cold outside, do you get cold without a sweater or a jacket? Dogs feel cold just like we do, so why shouldn’t they be comfortable? 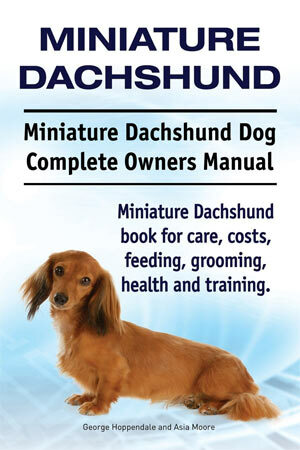 Since this blog is about mini Dachshunds, most mini Dachshunds do not have a lot of thick fur. Our little Sampson, being a smooth haired mini Dachshund, barely has any fur on his belly. Even the fur he does have is not very thick. Sampson, especially on cold mornings, loves to have his turtleneck sweater on. Another factor to consider is the climate where you live. 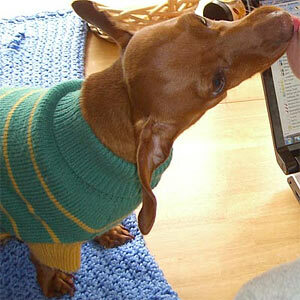 If you live in a cold climate, you will probably notice that your Dachshund will shake when he goes outside. If this is the case, you should get a coat for him! If your climate is rainy, you may want to consider getting him a raincoat. Imagine if you had to go potty outside in the pouring rain with no clothes on! 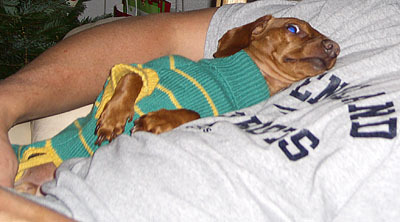 The bottom line here is that clothing can keep your little Dachshund warm and comfortable. Today’s dog clothing comes in a wide variety of styles, colors and brand names. You can get coats, sweaters, dresses, tank tops, hats, scarves and booties!